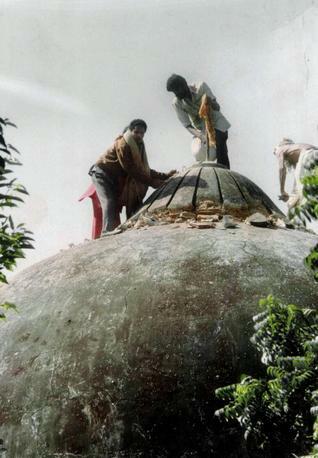 Under the rubble of the fallen mosque lay the idea of India itself. But in the end, ordinary people of India – Hindu, Muslim and of other faiths – voted resolutely against the politics of hate and division, in general elections of 2004 and 2009. The most passionate votaries of the temple movement admit that it has today lost the power to mobilise voters any longer. It is impoverished people of India who have picked the pieces of the idea of India from under the rubble of the medieval mosque razed by frenzied mobs in 1992. It is they who have reclaimed once again the inclusive pluralist traditions of this ancient teeming diverse land. Bottom line: let democratic politics and the cycle of elections prevail, no matter how messy it seems. It will take a long time, but it will sort out. And it will is a continuing process.